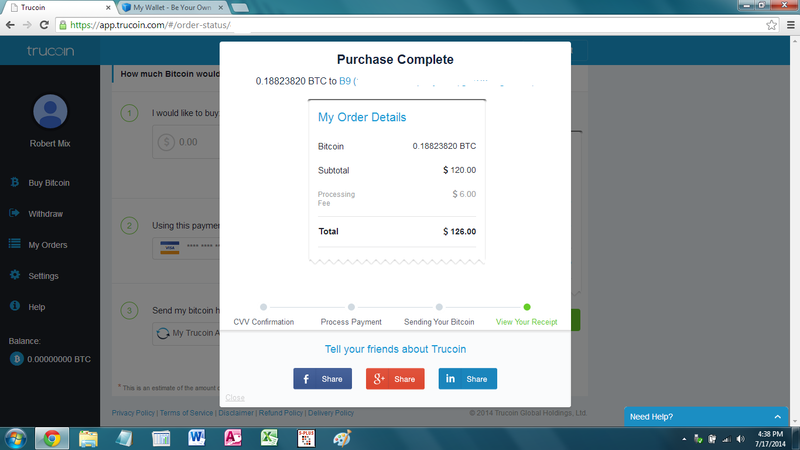 Recently I was engaged with a BTC service which involved getting a new wallet. I messed something up and then lost that wallet! 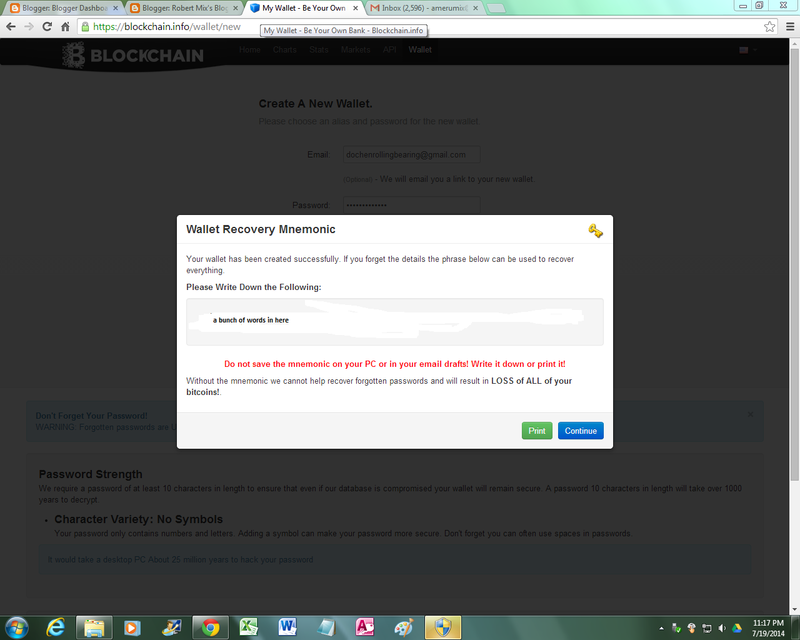 I then wondered if there was any cost (to me, or to the BTC Ecosystem) in losing or discarding wallets. An example of discarding wallets would be someone very concerned about privacy who would use a wallet once (for one transaction), and then never using that wallet again (giving the owner more privacy, sort-of like the "One-Time Pad" in encryption in days gone by). -- 55^16 (81 trillion * 81 trillion) = approx. 6,561,000,000,000,000,000,000,000,000 (this would be 6.561 octillion, or (6.561 * (10^27)), a large number. 2.365 septendecillion is the largest number I have ever calculated on my own. Keep in mind that I rounded DOWN and only used 55 alphanumerics (instead of some 58 or so). So my number is almost surely too low! But, even if I am off by a factor of 1000, that is still an extremely large number! That would work out to about 300 duodecillion wallets for every man, woman and child on Planet Earth, so no worries if you lose a wallet ID (as long as there was no BTC in there)! 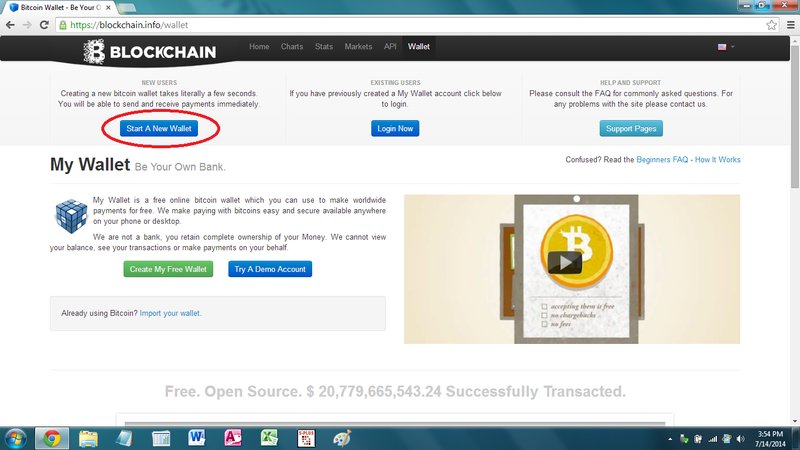 In my Part Five (here: http://robertmixblog.blogspot.com/2013/12/fun-with-bitcoin-for-beginners-part-five.html) I explained how to get a wallet from MultiBit, a free program you can download that allows you to make wallets, receive and send Bitcoin, study transactions, change passwords, etc. MultiBit requires downloading though, and some people don't like downloading programs that they are not familiar with, especially if your computer then asks you to download Java (by Oracle), which one of my computers did. There is a low but non-zero probability that your coins could be stolen. The way I interpreted THAT was "engineer-speak" for "low risk". I am comfortable with the wallet (and its "spawn" as each time you use their sharedcoin.com mixing service it throws off a brand new wallet for you). 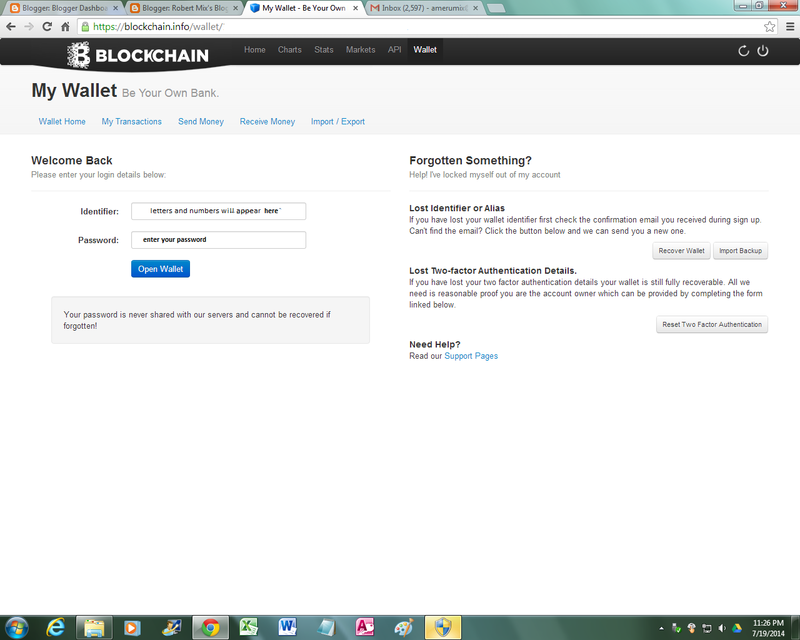 So, the below is a step-by-step procedure for having a wallet at blockchain.info. 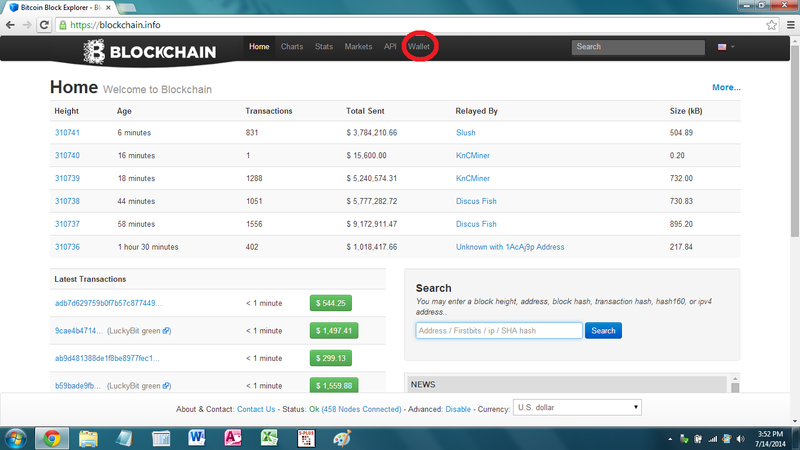 Note that blockchain.info does NOT have your password! You lose or forget your password, you LOSE any BTC in your wallet! 3) You will then get something very similar to this. Fill out the fields with the green arrows (the email (first) is optional, but I did it, and then blockchain.info gives you a code that you can use instead of your wallet ID, see further down). The fourth arrow is a "Captcha" (all you old-timers from ZH have seen this!) 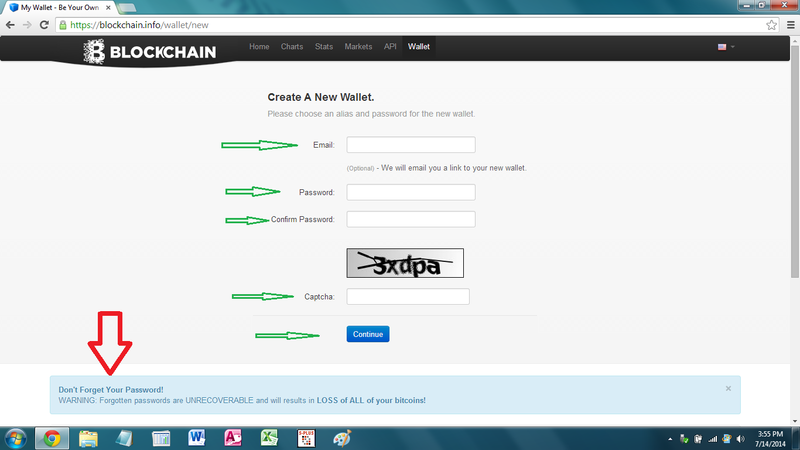 the Captcha is used to keep "robots" from misusing blockchain.info. Note the red arrow! Do not lose your password! Enter your Identifier, if you have done all of this on one computer it will likely already be entered for you (it is an alias, blockchain.info sends it to your email and then you enter your password). And then you will arrive here (edited for privacy). 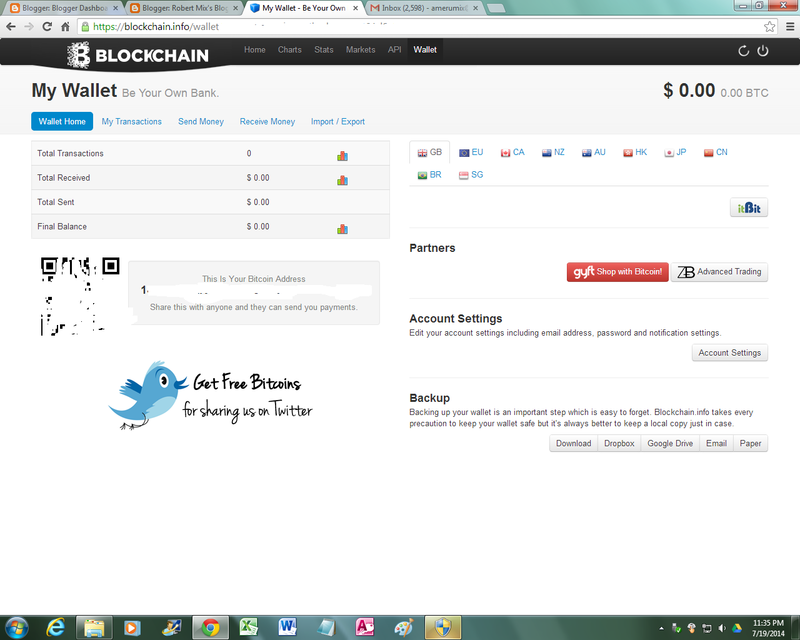 You will have a QR-Code as well as your new wallet ID right there! 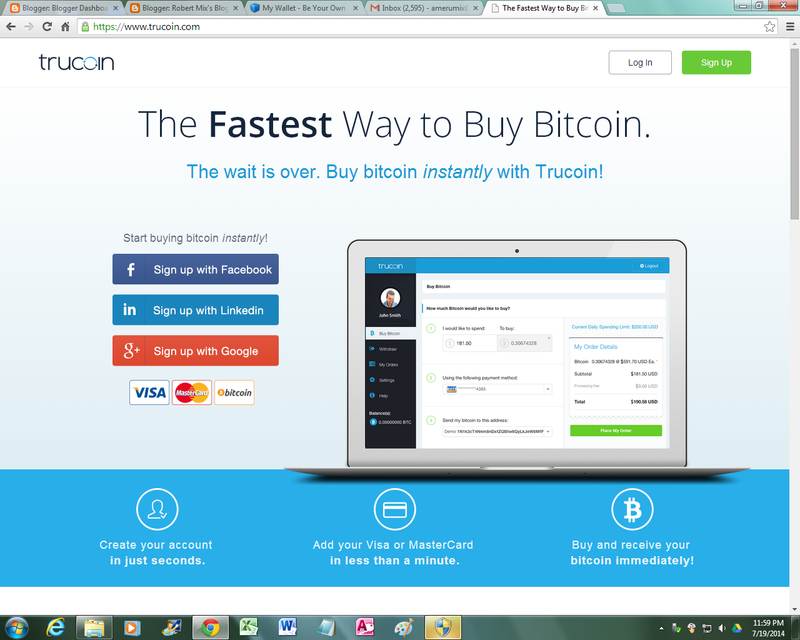 If you are lucky and know someone who will sell you BTC for cash, then you are good to go. 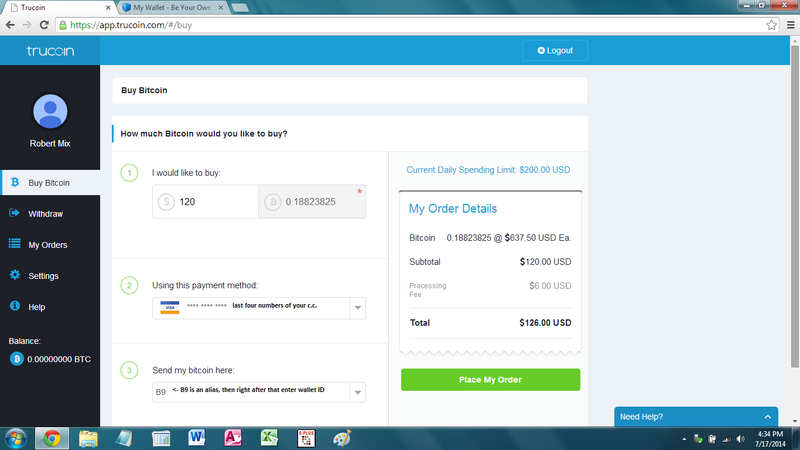 You can also try localbitcoins.com to try and find someone who will sell you BTC. I have had "reasonably good" results with localbitcoins, but, alas, there just are not that many in my town who are out there with BTC for sale for cash. Note that there is a friendly "Need Help?" blue button at bottom right. I needed some help as I had "issues" with the process. And note the $6.00 they tacked on as a fee, but that is not that much, if you factor in trying to meet someone "in town" and all that, the cost is pretty reasonable, IMO. Congratulations! You will then be an owner of (more) BTC!